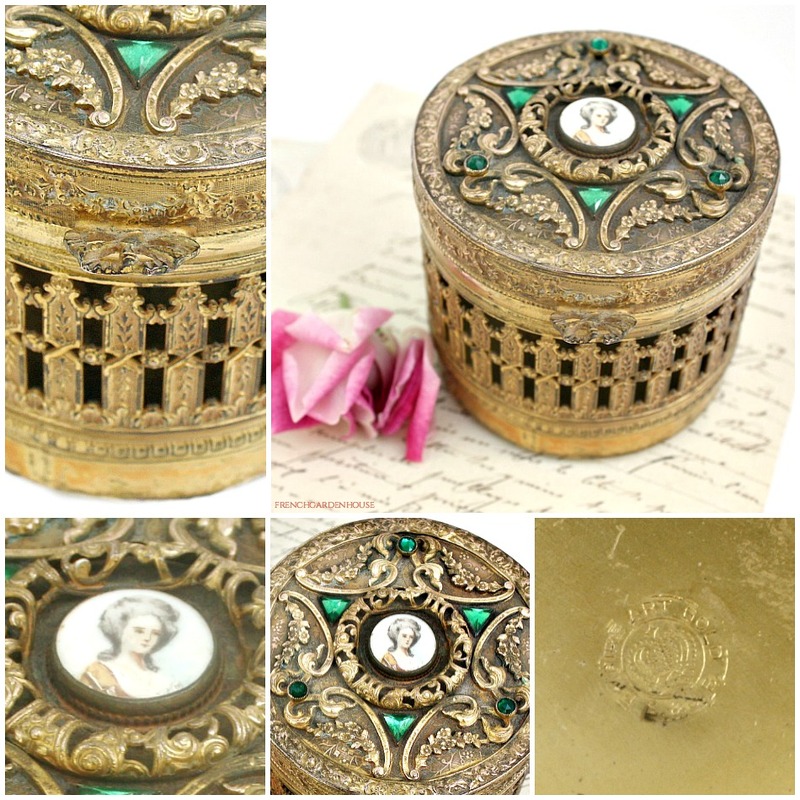 Beautiful 19th century Gilt Jeweled Empire Art Footed Vanity Box, an early one from the 1890's, with jewels and a hand painted portrait on the lid. The portrait features a young woman, her hair and dress in the French style. Made by E & J Bass, Inc of NY, who produced luxury high quality vanity items from 1890 - 1930 under their brand name Empire Art. This box is lovely, with filigreed sides, and a lid that has all the ornamentation Empire Art was famous for. The jewels are all present, a beautiful emerald green color. 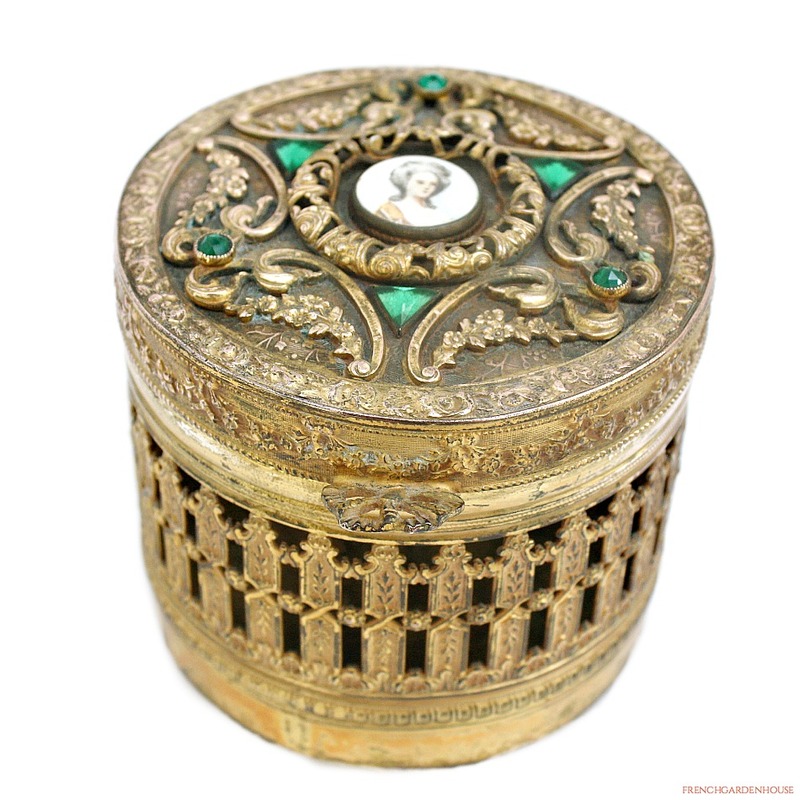 Floral garland swags, French scroll work and filigreed sides are all what makes these pieces so collectable, they were meant to emulate the pure gold boudoir and jewelry boxes of the French jewelers. As shown, there is darkening here and there, after 126 years that is to be expected. The bottom gilt has worn so the brass undermetal is showing, the box stands on four small feet. 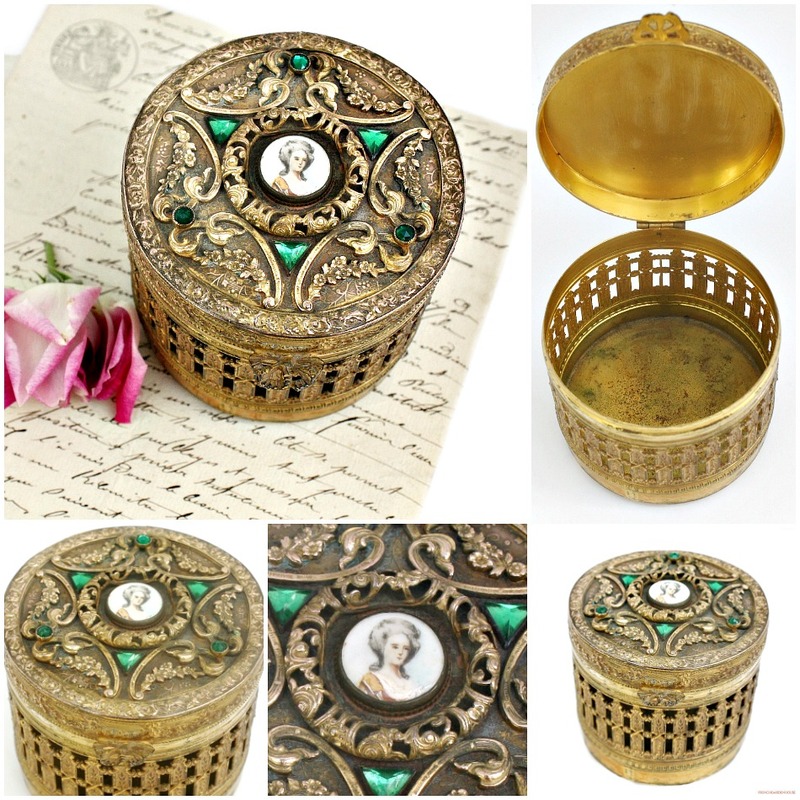 A decorative and very romantic box to add to any collection, a true beauty for your vanity, or to display with pride with your objet d'art in a vitrine. Measures 3~5/8" x 3~1/4" h.